The Studio A control room features a unique Focusrite console. 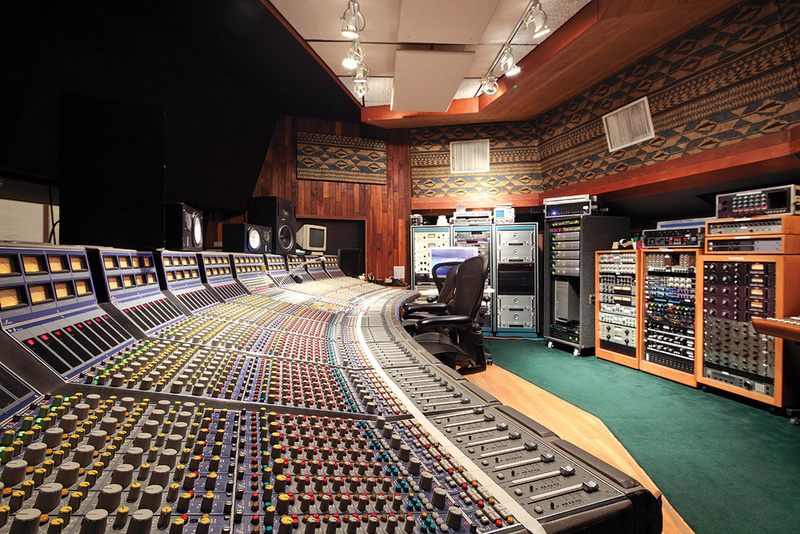 This month we look inside Hollywood's Ocean Way Studios, the "Abbey Road of the West Coast". 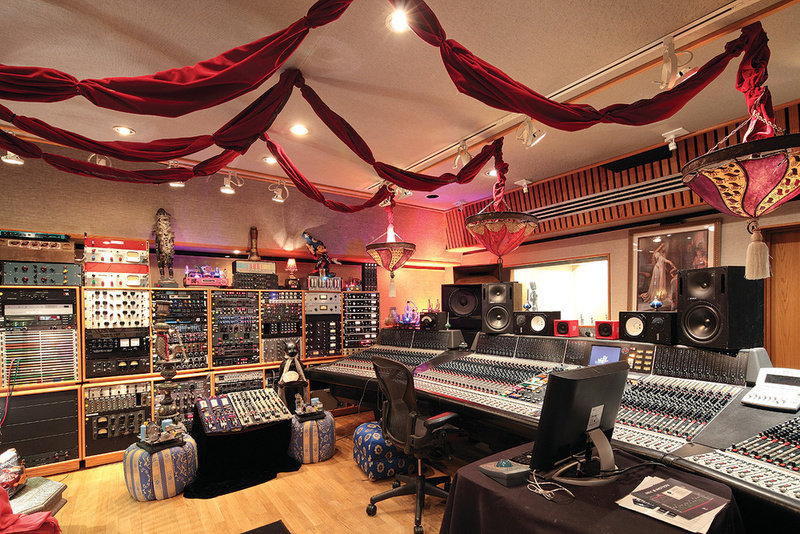 It is hard to avoid superlatives when writing about this landmark studio located on Sunset Boulevard, in the heart of Hollywood. 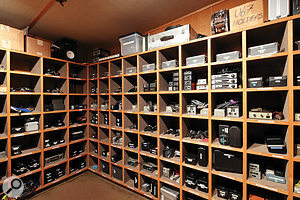 Ocean Way has been dubbed 'the Abbey Road of the West Coast', and more than a billion copies of records produced there have been sold worldwide. 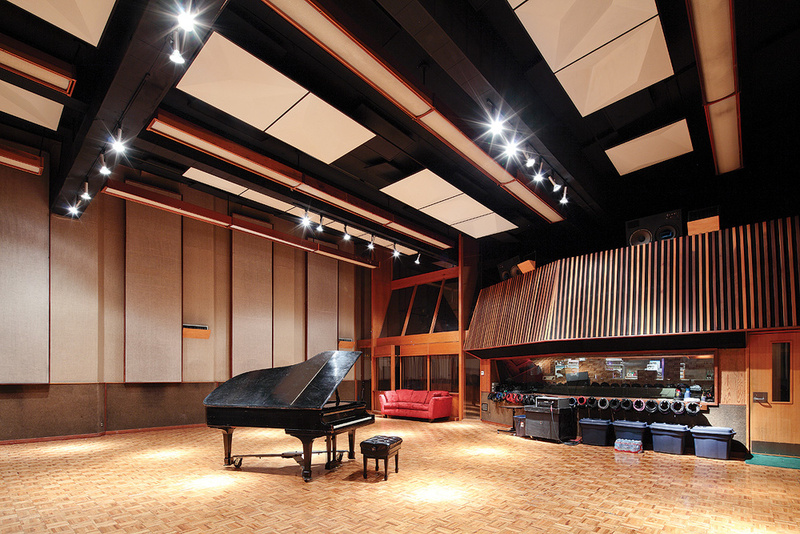 Studio B's live room is regarded as one of the best spaces in the world for recording. Bill Putnam, founder of Universal Audio and inventor of the ubiquitous 1176 compressor, is a towering figure in the history of recorded sound. Before moving to Hollywood, the engineer and entrepreneur worked from his Universal Recorders in Chicago. When Frank Sinatra followed the call of the emergent film industry in Hollywood, he persuaded his favourite engineer to move to California as well. "Everything was moving West at that time,” recalls Allen Sides of this transitional period, when the foundations of modern recording were laid. 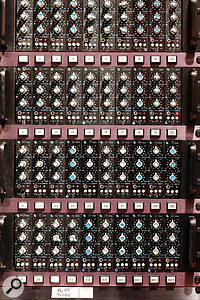 This rack contains no fewer than 40 API 550a modules, which can be inserted into each channel of the console in Studio B. With financial backing from Bing Crosby and Frank Sinatra, who was running his Reprise label out of the same building, Bill Putnam founded his first West Coast studio, United Recorders, at its famous 6050 Sunset Boulevard location. 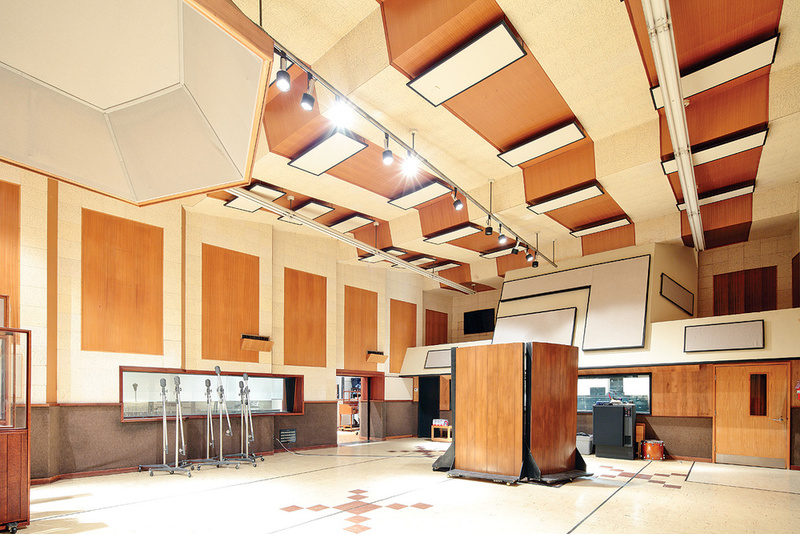 Opened up in 1958, United was one of the first independent recording studios in Los Angeles, and soon it became one of the busiest music-production facilities in the metropolis. Boasting no fewer than three studios, plus various mixing and mastering rooms, United proved that Bill Putnam was not only a forward-thinking electrical and recording engineer, but also a pioneer in studio acoustics. Studio A and especially Studio B are widely considered Putnam's biggest achievements in studio design, and the latter was his own favourite among all the rooms he designed and built. Soon the studios were booked to the limit of their capacities, and in 1962 Bill Putnam opened sister studio Western, separated from its older sibling only by a parking lot. Together, the United Western recording empire would dominate the LA recording scene for years to come; the location also hosted production facilities for Universal Audio, until they were moved to a factory in the Valley. The United Western complex continued to operate under the ownership of Bill Putnam until the mid-'80s, when he sold the United portion to his long-term friend and business partner Allen Sides, who, a few years later, was also able to acquire the Western wing of the studios. Allen Sides, an accomplished engineer with a most impressive track record, first set foot in United Recorders as a runner in 1969, when he was 16, but he never met Bill Putnam during his first stint at the studio. Their paths crossed again a few years later, when Sides managed to score a large cache of mothballed equipment from United Western for a ridiculously low price, planning to use it in his own Santa Monica-based Ocean Way studio. As the story goes, Bill Putnam was quite upset about the deal his studio manager had been "snookered into”, and wanted to know more about this shrewd businessman. 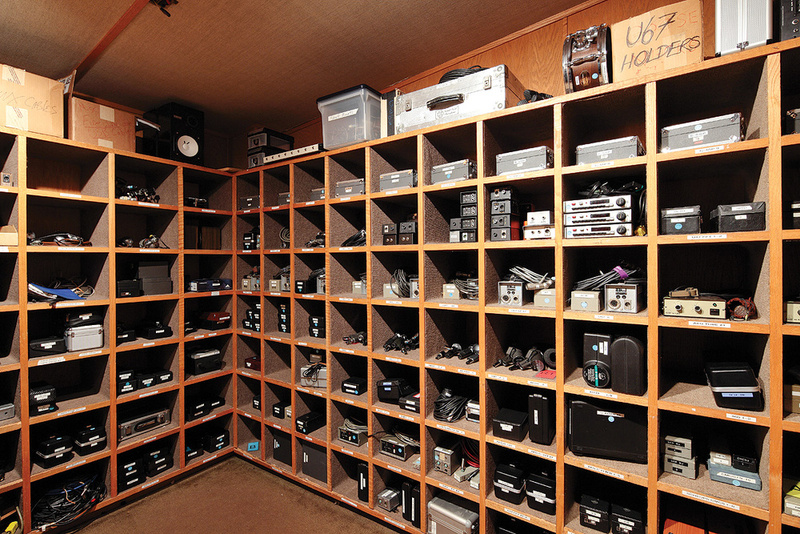 Putnam and Sides became friends, and together they bought out closed studios all over the USA, building up one of the most impressive studio equipment collections on the planet — the cream of which still graces Ocean Way today. In 1976, Allen Sides began to lease United Studio B, and in 1982 he was handed the keys to Studio A as well. When he eventually acquired the entire facility, he renamed it Ocean Way in memory of the former garage in Santa Monica where he started his business as a loudspeaker designer. 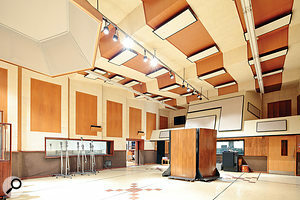 The former Western portion of the venture was sold in 2000 and, after being operated as Cello Studios for a number of years, it is now remodelled as EastWest Studios (see SOS October 2012). Ocean Way's Studio A had been rented to producer/engineer Jack Joseph Puig for many years, but a few years ago JJP moved into Studio D instead, making the largest room, with its impressive 220-square-metre "miniature concert hall”, as Allen Sides calls it, available again for recording sessions. The control room is home to a custom Focusrite console with 72 inputs, one of only a handful of desks of this kind that have ever been built. Notable recordings made in Studio A include Frank Sinatra's 'It Was A Very Good Year'. Studio B is only slightly smaller in size: the main hall measures a little over 145 square metres, and there are also a number of isolation rooms, the largest of which is about half as spacious as the main studio. 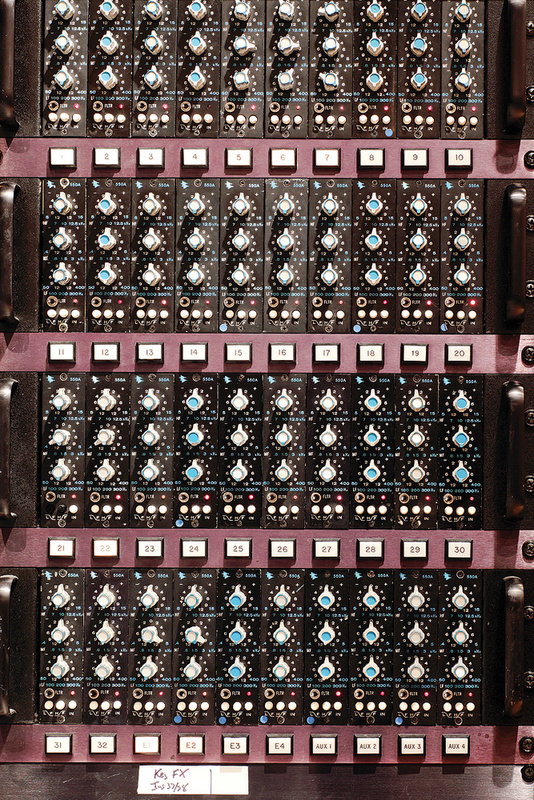 For a long time, the control room of Studio B was centred around a custom Dalcon console, arguably one of the most impressive desks on the planet. 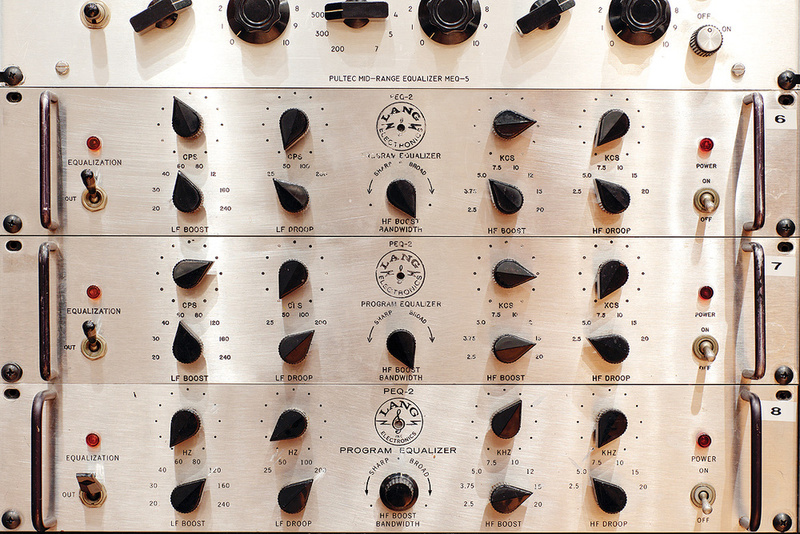 Despite ample control and routing facilities, the internal layout was very simple: a signal only had to pass three amplifier stages from input to output, and in addition to its inductor-based onboard EQ, an API 550a could be inserted in each channel. 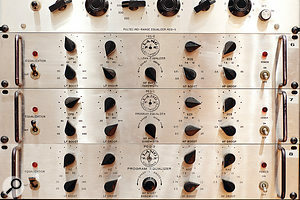 However, the Dalcon was recently sold to producer and engineer Nigel Godrich, being replaced by an equally impressive Neve 8068/8088 — mostly, because, according to Allen Sides, the younger clientele booking the studios these days were not familiar with the Dalcon and demanded a less specialised solution. 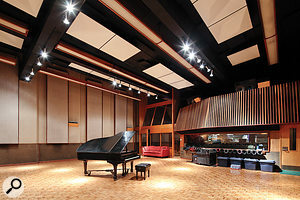 Amongst many other classics, Studio B served as a backdrop for Ray Charles' soul/country crossover 'I Can't Stop Loving You'. Studio D, designed by Allen Sides around an 84-input Neve 88R console, is now home to Jack Joseph Puig's infamous gear vault — truly a parallel universe in itself — while the smallest studio C mostly serves for editing, transfers and smaller mixes. 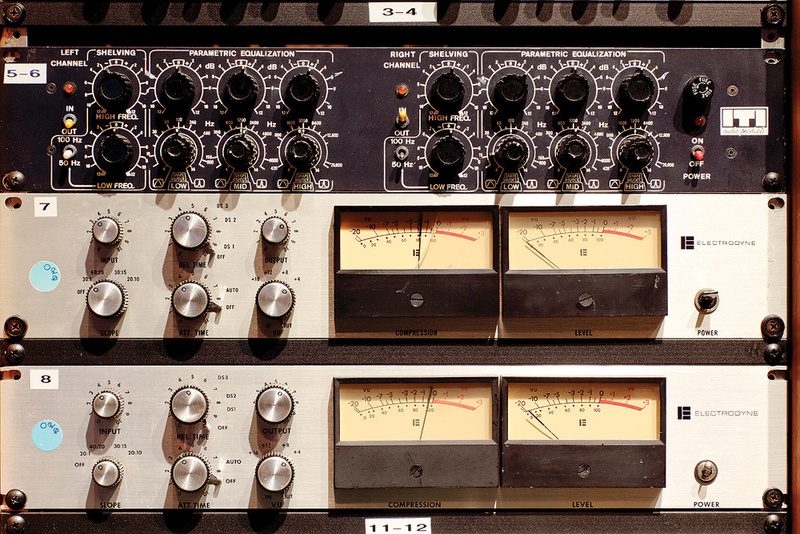 All studios are equipped with a selection of outboard equipment from Allen Sides' collection, including inductor-based Lang EQs, Fairchild 670 limiters and incredibly rare pieces such as the early ITI ME230 parametric EQ. 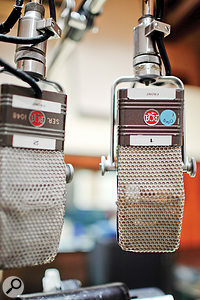 The microphone list encompasses literally dozens of vintage valve Neumann and AKG microphones as well as RCA ribbons and no fewer than four Telefunken ELAM 251s. In early 2013, it was announced that Allen Sides had sold Ocean Way to Hudson Pacific, owners of the adjacent Sunset Gower/Sunset Bronson Studios. In our interview, Allen Sides confirmed that he still loves making records, and that he will use Ocean Way for future projects. According to Sides and Studio Manager Robin Goodchild, the studios will continue to do business as usual. All studio spaces will be kept in their original condition, while the common spaces in the facility will see some renovation in the near future. In the hands of dedicated professionals and industry veterans like Bill Putnam and Allen Sides, the United Western/Ocean Way complex has been a perfect home for high-end productions throughout more than 50 years of continuous operation, and it seems likely to contribute to many more future classics in the years to come.